Blade length: 71.5cm or 28.14inches. Era : Edo period. Around Kanei era. 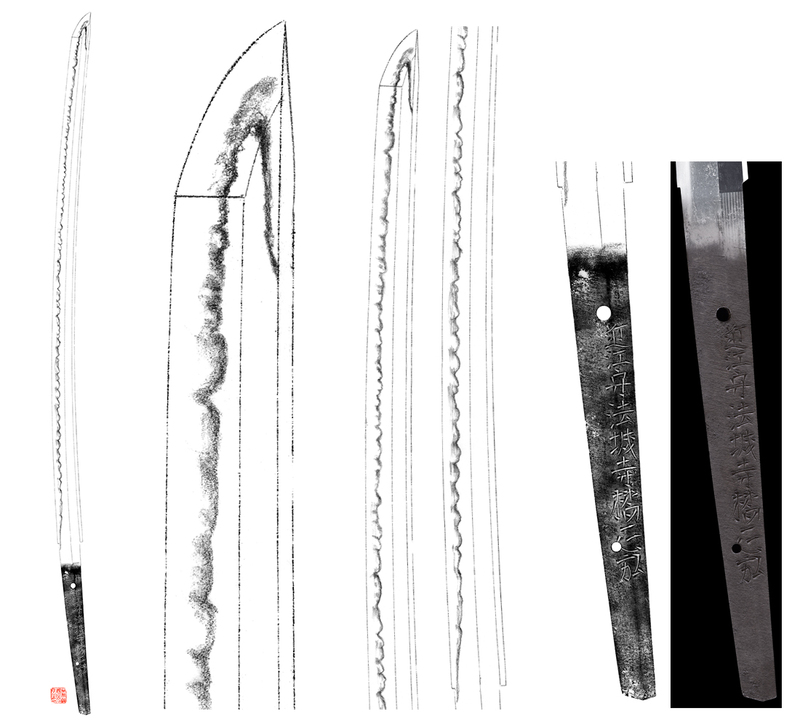 Shape : Wide and thick blade with Sori. Jitetsu :Ko Itame Hada well grained with Jinie attached. Hamon : Niedeki, from Hamachi Suguha and then Gunome Midare. Juzuba style, deep Nioikuchi and wide Ashi. There are Sunagashi and fine Kinsuji. Special feature : Hojoji Tachibana Masahiro's family name is Takigawa at Tanba province. This Masahiro is first generation. This style is not Kanbun Shinto. 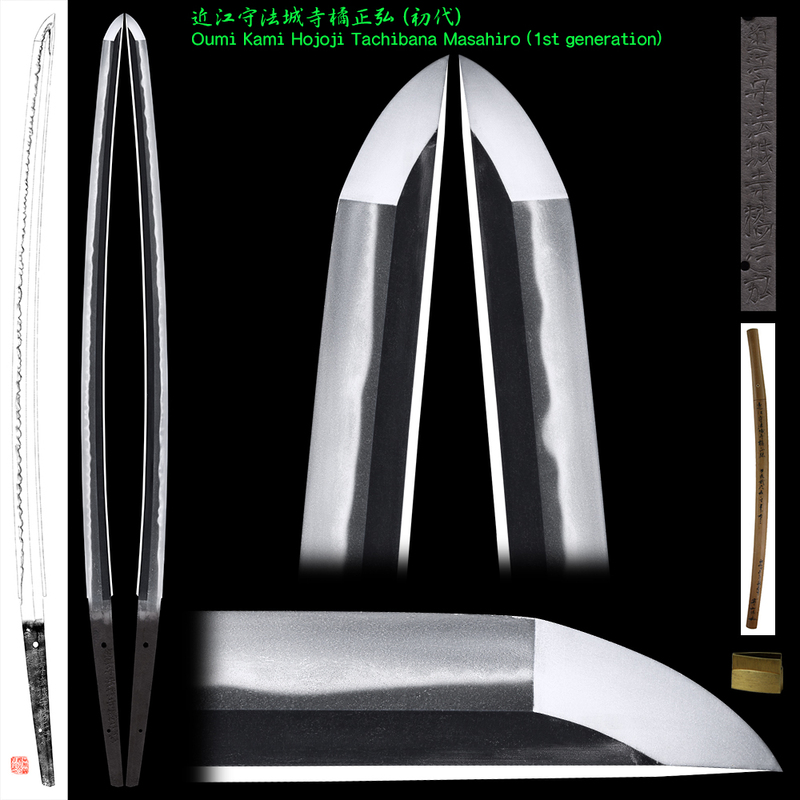 This blade was made around Kanei era. The Kissaki is long. This blade looks like Nagasone Kotetsu and nice Jigane with deep Nioikuchi and bright. This blade is very healthy. We strongly recommend this Katana. Price (credit card) : JPY 1,600,000-.